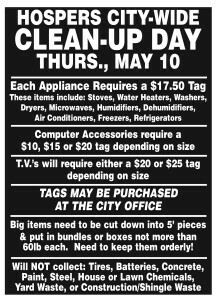 Spring City Wide Clean-Up Day! 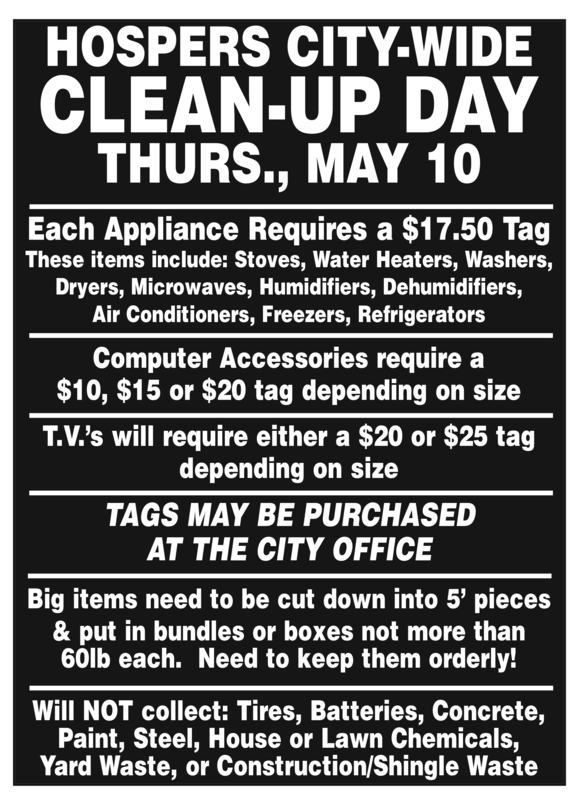 Spring City Wide Clean-Up day – Thursday, May 10th. Great opportunity to get rid of those items taking up room in your house or garage! Make sure you double check to see if the items you put at the curb need a tag.